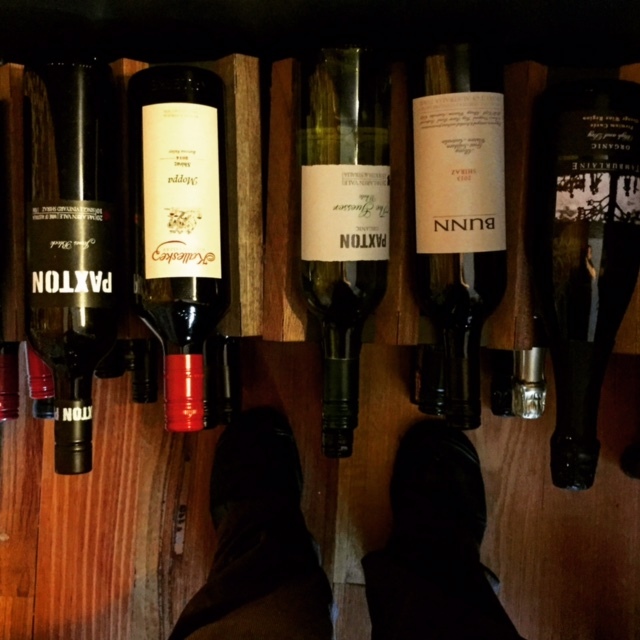 The Organic Tippler: How to store wine. So, have you got yourself a wee collection of wines that you've been purchasing over the years? Some might have been gifts, others lovingly collected from a weekend of exploring cellar doors with mates. Some might be organic, others not. I don't know about you, but I've begun to grow up when it comes to wine. No longer do I need to drink ALL THE WINE in one sitting with pals. I am happy to buy a bottle and have it tucked away until the right time. Sadly, for many this can all end in tears when a bottle isn't stored correctly. Before I got into this wine caper I confess that my bottles of wine were stored in the bottom of my kitchen cupboard. There was easy access, and it was as good a place as any considering I didn't have a wine rack, or a cellar, or a convenient backyard cave, with steady temperatures to squirrel my bounty away in. 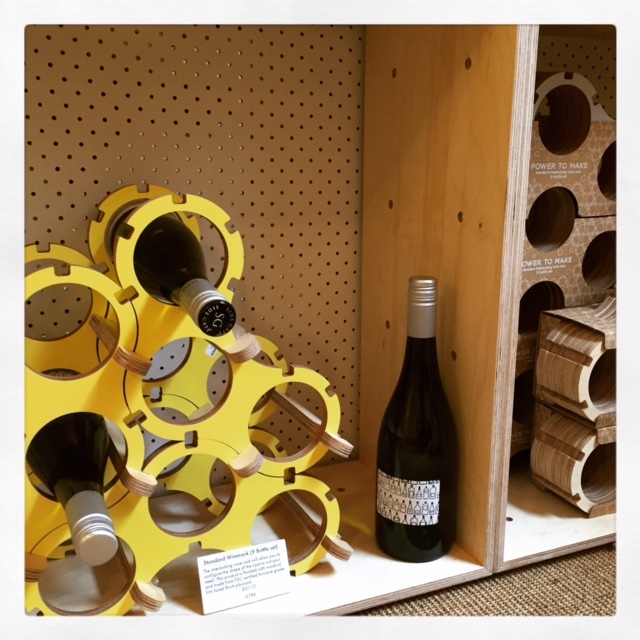 Now I'm a bit more savvy and try a bit harder to make sure my bottles of precious vino are as well stored as possible given my limited space, and lack of a fore mentioned cave. I confess to being a bit lucky in that my parents have a cellar at their home in the mountains. If I have a particularly special bottle I can always VERY CLEARLY LABEL IT WITH MY NAME, and pop it in among their collection. So far there have been no accidental consumption incidents. I hear you...no cellar, no cave. What to do? Well, I've got a few tips for keeping your wine at its best for as long as possible. I do have to say, please read your labels though. Ifa wine maker suggests that a particular wine would benefit from 5 years of cellaring, don't wait for 15 and then wonder why it's not great... common sense peeps. 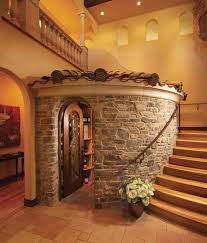 How's this for a nifty little cellar. I'm sure I could fit this under my stairs...? 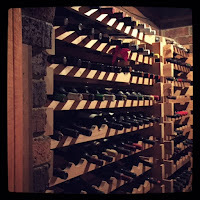 I've got a few tips on storing your wine and keeping it in the most optimal conditions. I've read quite a bit on the subject, and the phrase that springs to mind and is easily remembered is 'Keep it cool, keep it dark, keep it still, keep it sideways'. Pretty simple really. Wine is a pretty delicate thing which is always evolving and changing within the bottle, and outside influences can interfere with the delicate dance happening beneath the cork. Wine and bright lights are not best friends. Most coloured wine bottles offer a small amount of protection against UV light. However, it isn't enough to keep your wine from being effected by light, which will prematurely age your wine. White wine is particularly vulnerable to this, but red wine is also at risk. 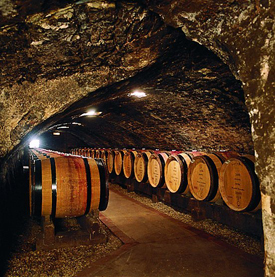 It's best to store your wine in a cool, dry dark place with a constant temperature (between 12-16 °C). 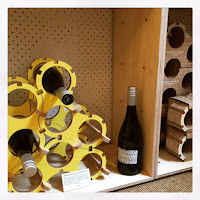 If you don't have a cellar (which of course is the best place to keep your wine), keep it in the box it came in in a dark place (there must be a spot in the bottom of a cupboard somewhere?). Ideally there should be some humidity to prevent the cork from drying out. If you're feeling really flush you could buy one of those fancy (or less fancy) thermo-controlled wine fridges (of course this is another electrical appliance which needs to be plugged in and takes up space...but if you're a real buff might be worth it). Shake, rattle and roll. I don't think so. Wine doesn't like to be shifted about or exposed to vibrations and movement. Try keeping it away from your fridge, on its side on a rack (this ensures the cork is always covered with liquid and won't dry out). If you keep your bottles upright you increase the chances of oxygen making its way into your bottle and oxidizing the wine. Of course, corks can be a bit of a rarity these days, so the chances of oxidization are greatly reduced, and cork taint is almost unheard of! Very importantly it must be remembered that not all wine is designed to be cellared. And even those that are may only be suitable for a short cellaring period. Many preservative free wines are made to be drunk quite soon after bottling. Please, please, follow the instructions of the wine maker. They want you to enjoy their wine, and will be giving you the best advice on when to drink their nectar.